The business is led by Edward Preece, a Chartered Surveyor with a desire to raise the profile of property in the boardroom and promote bespoke property advice and support. Edward Preece & Co is an independent property consultancy business formed in 2004. Key to the company’s success is the solid track record that directors Edward Preece and Jenny James have built up over 20 years in the industry, working in both the public and private sectors in many diverse industries. Edward Preece & Co differentiates itself through its independent advice, priding itself on always having the client’s best interests at heart. We respond solely to the business needs of our clients and have no vested interest in cross selling to other areas of our business. This sets us apart from the mainstream property consultancy advisor.The company aims to provide a great quality, personal service to ensure we do the very best for every client. We are enthusiastic and creative, with a high level of integrity. We can promise that our advice will be straightforward and practical, backed up by experience and knowledge. 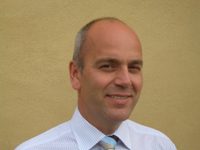 Ed qualified as a Chartered Surveyor in 1991 and has worked in both the private and public sectors. His experience covers a wide range of property sectors and roles working with clients from multi-nationals to private businesses. In 1996 he co-established a commercial property agency business based in Swindon leaving that to focus on developing Edward Preece & Co as a successful client-led consultancy practice. Jenny qualified in 2000 and has worked in both national and regional consultancy practices specialising in acquisition and management advice. 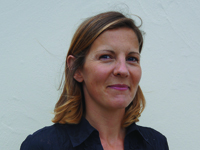 She joined Edward Preece & Co in 2006. "We respond solely to the business needs of our clients and have no vested interest in cross selling to other areas of our business. This sets us apart from the mainstream property consultancy advisor”.